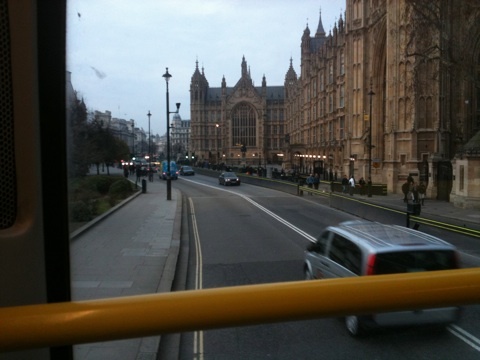 We love the 87 bus; it leaves from just outside our house and goes all the way to Aldwych (Map of the route, PDF). 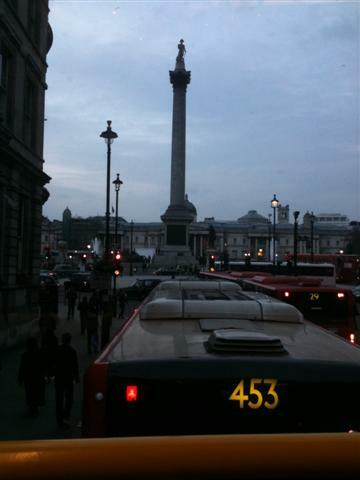 We use it regularly to get in to the West End on a Saturday, getting off at Charing Cross and walking up into Covent Garden and theatre-land. Even better we use the N87 to get home afterwards. Why spend £25 to get home in a black cab when you can snooze on the bus for £1.30. 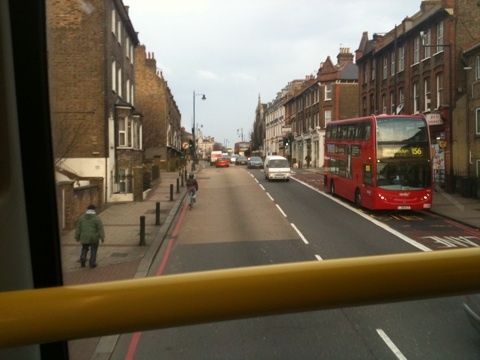 I love to be in the front, right seat upstairs - it is the only place to be on a double-decker - from there you get the best views. 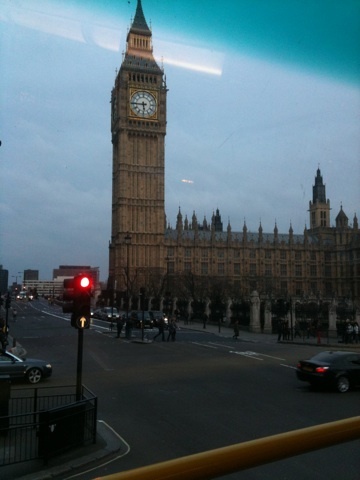 From the 87 you get to see some of the great tourist sights of London. From Parliament Square you go up Whitehall, past the Cenotaph, Downing Street and the Horse guards on sentry duty in full ceremonial uniform. Visitors to the UK spend a lot of money to get here and see these and we get them all for less than two of your English pounds. Result!